A client of mine wrote 18 successful novels that made money. After a merger and acquisition of the parent company, this author’s major publishing house — for whom the author had earned lots of money — fired the author. Like the news industry, the book industry is compressing itself. Lots of people are losing their jobs. In this case, the publisher, the editor, the copy editors, the proofreaders, the designers, and everyone associated with this author’s book lost their jobs along with the author. The author was dropped by a “traditional” publishing house because the most recent book earned back the advance in 13 months instead of 12. So much for traditional publishing. That author is now becoming an independent publisher who will earn money, having established an audience that’s clamoring for more stories. I wrote to my client to describe what’s next in terms of making choices for book printing, retailing, and distribution. First step is to establish a credit union or bank account for publishing-related income and expenses. That account number is needed for setting up retail sales accounts. Second step is to establish a Gmail or other email account for the imprint (the publishing enterprise) and direct all relevant email there. A formal company is not needed. A sole proprietorship is fine for most authors. As part of the letter, I recommended using both CreateSpace, which is owned by Amazon, and IngramSpark (Lightning Source). 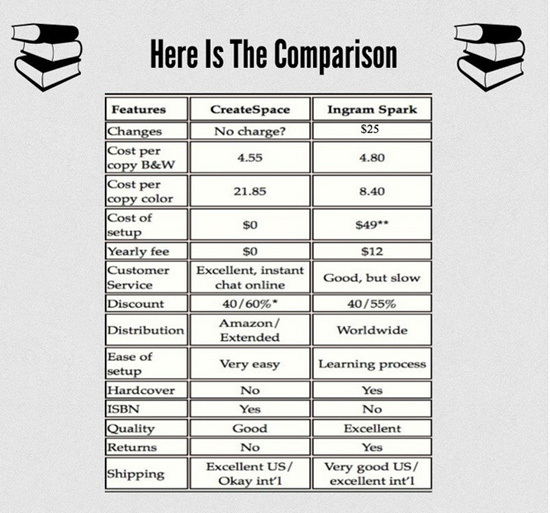 For practical and diplomatic reasons, I recommend using two printers, CreateSpace, which is owned by Amazon, and IngramSpark (Lightning Source), which is owned by Ingram, the largest wholesale book distributor. If you only used Lightning Source (aka IngramSpark for small publishers) as your printer, Amazon would delay selling your book sometimes for weeks saying, inexplicably, that your book is “currently unavailable.” That will cost you sales. To avoid FUBAR in print-on-demand publishing, it makes good sense to use at least two printers: CreateSpace AND IngramSpark. We use CreateSpace because its parent company is the behemoth, Amazon, where an estimated 60 percent of books and ebooks are sold. Printing through CS means the sale of your book will not normally be delayed on Amazon for unexplained reasons. We use LSI/IngramSpark for reach. Because LSI’s parent company is Ingram, doing business with LSI means that your book shows up as ‘available’ in most brick & mortar bookstores. Who routinely thinks of dropping by Lulu to buy books online? You can certainly employ other printers to print your books. Doing so means you will be faced with issues of shipping, storage, and distribution, all separate but expensive headaches you will not incur if you cover the bases by adopting a strategy to print on demand with CS and LSI. A line by line comparison of the differences and similarities between Lightning Source and CreateSpace can be found at Holly Brady’s site. Giacomo Giammatteo put together this chart illustrating some of the differences between the two printers. There’s one caveat about Giacomo’s chart and print-on-demand publishing in general. If you can manage to keep your opus at or below 250 pages, you will maximize your income. Once your book begins creeping up beyond 250 pages, money starts falling out of your pocket. I told my client that it’s time-consuming to set up the retail accounts and you won’t have all the answers at once. That’s OK. The advantage of setting up these accounts yourself is you won’t be paying commissions to a “middle man” (like BookBaby) for every book sold. And, you will have complete control over each of your retail accounts. You will know how many books sold and where they sell. If you have not yet established an account at Author Central, please do so. It is a powerful account to have, and it is free. 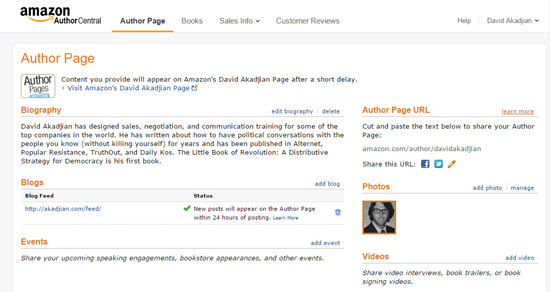 There you can change the wording, images, and descriptions on any Amazon page that sells any of your many books. If any issues arise, this is where you will receive preferential treatment. I recommend using CreateSpace strictly for distribution to Amazon and for ordering your own stash of books for sale or give-away. It is least costly and the quality is about the same as at Ingram for a black and white interior with color cover. Using CreateSpace as one of your two printers makes Jeff Bezos happy and for that, he won’t make your life miserable on Amazon. However, Amazon does not play nice with the competition so the competition (other bookstores) usually won’t order from Amazon’s subsidiary, CreateSpace. You do not want to sign up with “Amazon Advantage” for distribution because there’s nothing advantageous about it. It is so costly, you will lose the shirt you’re wearing in the process, and you will be miserable. 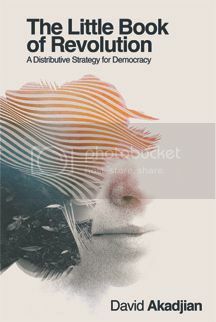 To make certain that your book can be distributed in other venues, and to avoid giving Amazon so much power that it is the only game in town, it is important to use the second distribution channel, IngramSpark. This costs a few bucks but is worth it in the long run. If you need copies of your book to sell, stash or give away, buy them at steep discount that you set through your own account at CreateSpace where it is cheaper to buy and ship them than buying and shipping through Lightning Source or Amazon. For print distribution everywhere but Amazon, you want an account at Lightning Source aka LightningSpark for indy publishers. Here’s an alternate address for LightningSpark . 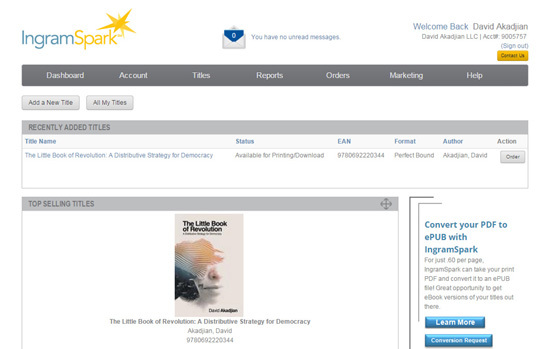 To sell digital books at Amazon, do the account set-up here. To sell at iBookstore, go here using an Apple device. If you don’t have an Apple device and choose not to bash your head bloody against the wall trying, establish an account at Smashwords and get to Apple via Smashwords. More on that in a few moments. To establish an account for book sales at Barnes & Noble, go here. For international ebook readers, establish an account at Kobo and sell digital books here and overseas. To reach certain outlying retail outlets, you might decide to have an account at Smashwords for selective use. 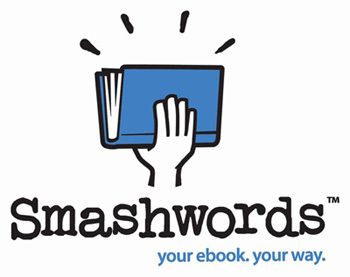 You will pay Smashwords a 15% commission on ebooks sold. I think it is often worth it for the limited purpose of reaching retail outlets you would not ordinarily reach. You might also get some marketing at Smashwords that your ebook would not ordinarily have. I hope you’ve found this helpful. If you struggle with these types of decisions or there’s other areas where you’d like to employ professional help, contact me via Kos mail. I do this for a living. What decisions have you made or have you been thinking about when it comes to printing, distribution, and retailing?